As of February 17th's deadline, 199 BBLTC members had opted in via the LTA. Their names are detailed below. The ballot will take place at 7.30pm in the clubhouse on Monday 24th April. Details of our ticket allocation will be circulated when we receive it. To enter the ballot you must meet the following criteria. 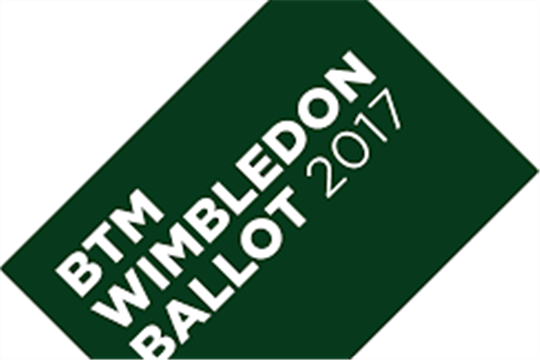 * Nomination of non-family representatives to act on your behalf must be agreed in advance and notification sent to tournaments@tennis.bbltc.org.uk by 6pm on Sunday April 23rd. There is no limit on how many times a BBLTC member can act on behalf of any of the members of their own household; but they can act only once on behalf of any other BBLTC member. Committee members organising the draw will not be able to act as proxy representatives for non household members. There is no restriction on the number of pairs of tickets that each household can take. However, members are reminded that they are under no obligation to take tickets, should their household already have received some, or if no favourable dates are available. Members who decide not to take tickets will have the option to go on the reserve list. Members are also reminded that the person who's name is drawn should attend the Championships.